The Census Bureau initiated a review to consider alternatives to DOJ’s request. Ultimately, Ross determined in March 2018 that reinstating the question was warranted. Some 18 states, 15 big cities or counties, and immigrants’ rights groups have sued the Commerce Department. The plaintiffs say an undercount of Latinos and immigrants would jeopardize federal funding and congressional representation in states with a substantial number of both groups. Two federal judges have declared the move to reinstate the question illegal. A federal judge in New York had previously blocked the administration from adding the question to the population count that occurs every 10 years, and the Supreme Court last month agreed to review that decision. Democrats also released a memo noting that a Department of Justice official told committee staff last week that in the fall of 2017, the Commerce Department’s James Uthmeier hand-delivered what Cummings called a “secret memo and handwritten note” on the citizenship question to John Gore in the civil rights division at the Department of Justice. That delivery occurred months before the DOJ formally requested the citizenship question. Gore would not reveal to committee staff the content of the memo or the note, based on recommendations from counsel at the department. “Did the secret memo or note describe the real reason you wanted to ask the citizenship question?” Cummings asked. Ross said he did not believe such a message was delivered, but if there was a document of that sort he wanted the chance to review it. 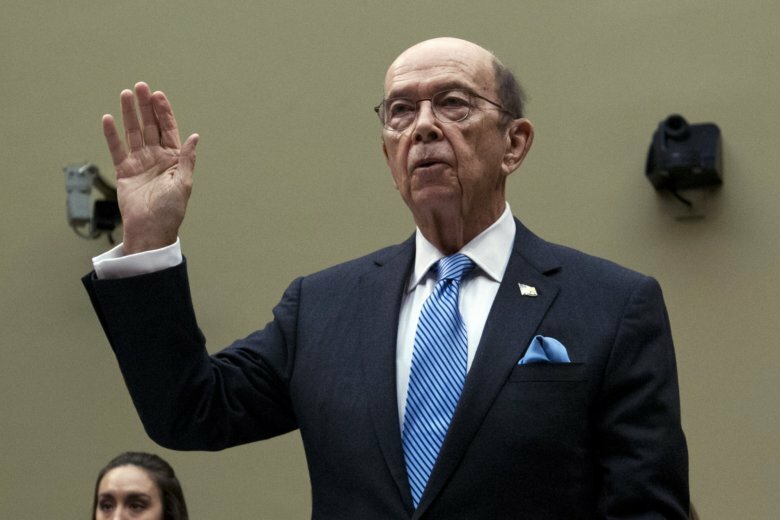 Republicans said it was completely appropriate to add the citizenship question to the census. “For the life of me, I do not know why the Democrats don’t want to know how many citizens are in the United States of America,” said Rep. Jim Jordan of Ohio, the ranking Republican. “But for some reason, they are focused on this question.